The Wisconsin teenager Tara Frey made waves with her fun and unique prom dress made wholly out of Stardust candy wrappers! 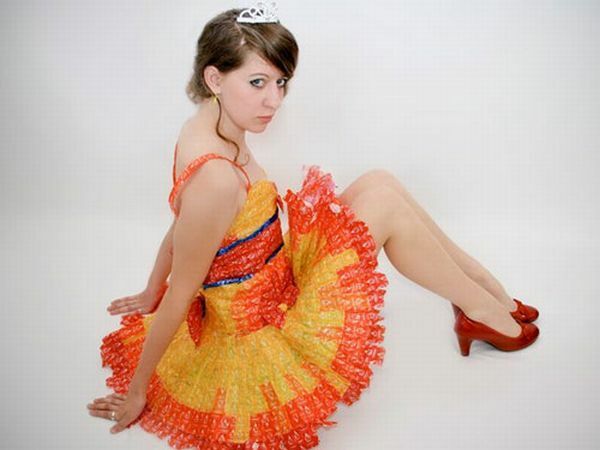 An incredible prom dress, Tara and her mother spent six years in collecting starburst wrappers and weaving the multicolored pretty dress out of it! And what’s more, the dress was uniquely accessorized with starburst shoes and clutch! Maura Pozek, a seventeen year old Reeds Spring high school senior has been constantly in news with her incredible DIY prom dresses year after year. 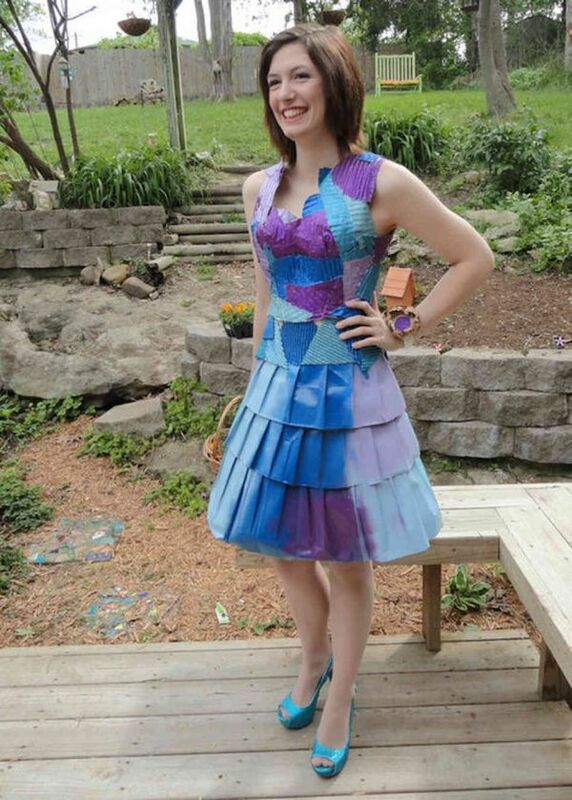 After becoming the talk of the town with her 1st year prom dress made solely out of Dorito bags and about 4000 soda tabs, her senior year prom dress was an even more outstanding splash of blue and purple hues. Incredibly crafted out of cardboard and paper bags, her unique ensemble consisted of a cardboard corset top coupled with a three tiered pleated skirt made from paper bags spray painted all over! The June of 2012 saw Brooke Wallace and date Mark Aylward become finalists in a duct tape prom contest held nationally for their incredible duct tape attires! Spending roughly 200 hours, Wallace had crafted the entire gown, suit and shoes from duct tape which had taken the entire prom scenario by storm! Elizabeth Rasmuson, the Iowa teen made prom-time headlines with her unique dress created out of blue and white Wrigley’s bubble gum wrappers coupled with a matching vest for her boyfriend! A one-of-a kind bubbly dress with the gum wrapper bodice intelligently finished with a vinyl top coat, this finds special mention in our Incredible Prom Dress list! Last but not the least, mention must be made of Angela Bright’s incredible prom dress created from used tea bags which made headlines and travelled to international galleries all over the world!